Ferrari will open its European theme park at Tarragona, Spain, in 2016. 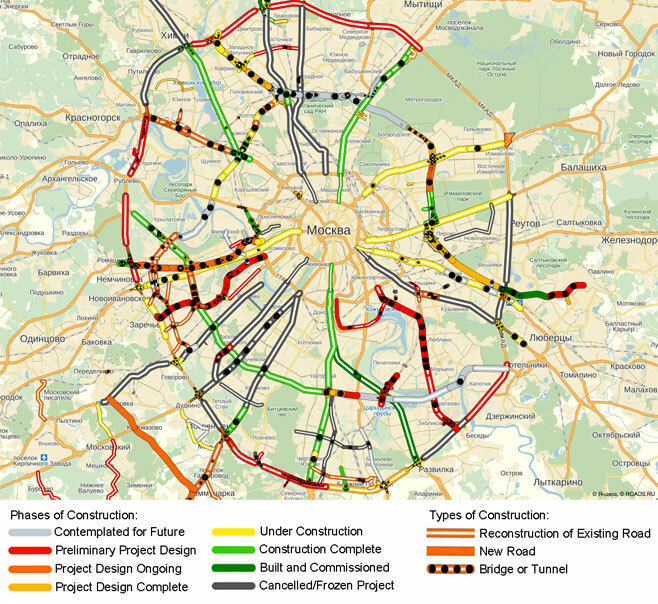 Russian road geeks compile the first ever map of Moscow’s current and future road building plans. Paris makes public transport free to combat air pollution. Border controls resume between Germany and Poland. Gibraltar frontier delays achieve a new high (low). Eurotunnel celebrates record results, Ireland warns about level crossings and Bosnia’s blockaded border crossing is now clear. FERRARI LAND OPENS IN TARRAGONA IN 2016. Spain to host Europe’s only Ferrari theme park, and the world’s first Ferrari hotel. The world’s first Ferrari-themed hotel will be built at Ferrari Land in Spain. Ferrari will open its only European theme park near Tarragona, Spain, in 2016. The company has elected to build the 75,000 square metre Ferrari Land within the existing PortAventura theme park at Salou, just south of Tarragona, an hour from Barcelona. The concept is despised by purist petrolheads for being tawdry and commercial but Ferrari Land will likely be loved by everybody else, especially kids. In addition to PortAventura’s existing Shambhala, Europe’s highest rollercoaster – and Europe’s tallest free fall water ride in the recently opened Water Park – Ferrari Land will get ‘Europe’s tallest and fastest vertical accelerator’. 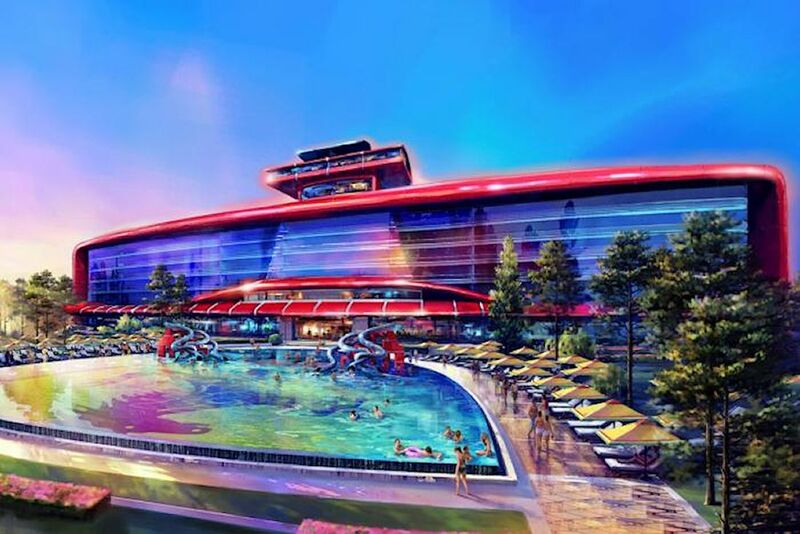 The complex will also feature the world’s first Ferrari-themed, 250 bed ‘premium’ hotel, in addition to PortAventura’s 2000 four star beds and 48 restaurants. The park currently attracts four million visitors a year, half from abroad. It’s not clear yet whether Ferrari World will have a dedicated entrance like the water park. Ferrari World, which opened in Abu Dhabi in 2010, is slightly bigger at 85,000 square metres though the entire site, covered by a unique canopy, covers 200,000 square metres. It operates an access all areas, one day ticket policy, costing 240 AED (£40) for customers over 1.3m. The only extra is a 100 AED charge to use the Formula 1 driving simulators. The deal finally puts paid to Valencia’s bid to host Ferrari’s European theme park. The city had submitted plans to place Ferrari Land next to the Circuit Ricardo Tormo, used for Formula One testing. Ferrari says it will ‘continue to further look at the launch of additional theme parks outside Europe with no rush, while continuing to maximise the value of our prestigious brand without diluting it’. Five ringed circus: finally, what we’ve been waiting for, a map of the on-going and planned road building in the Russian capital over the next three years. Compiled by a private group of researchers at www.probok.net via www.TheMoscowTimes.com Amazingly, such a thing is not available from officials sources. roundup: GIBRALTAR QUEUE WATCH. Delays reached three hours today, the longest so far this year. A new app showing frontier delays is now available at iTunes, Google play, etc. PARIS. All public transport is free – including Autolib cars and bikes – for the entire weekend as the authorities struggle with air pollution. IRELAND. Drivers are warned to take extra care on level crossings following 24 serious incidents last year on the country’s 1,000 unmanned crossings. GERMANY. Border checks between eastern state Brandenburg (Berlin) and Poland have restarted after crime grew by 10%, and arrests of foreign nationals by a third, in 2013. The checks are in line with border-free Schengen Zone rules. EUROTUNNEL. Revenues in 2013 topped €1bn for the first time according to annual results published today. The number of cars grew by 2%, coaches were up 9% but trucks were down 7%. BOSNIA. The border crossing with Croatia at Orasje is now free flowing after protesting farmers reached agreement with the govt over unpaid incentives.